Attention – All Classes Are Not Created Equal! When students first walk into the computer room, they want to know where they sit and which computer is theirs to use. Often you'll find numbers near the computer stations to help students find their way. Logging in procedures such as usernames and passwords can be displayed throughout the room to help students read them from different angles. Some of the computer classes have whiteboards to help explain the lesson, and websites to visit. Students are then engaged in their own machine and often don't even look up at any central board at all. So bulletin boards in a computer class room must do 2 things. They must be large and visible from all viewpoints in the room, and they should be purposeful. 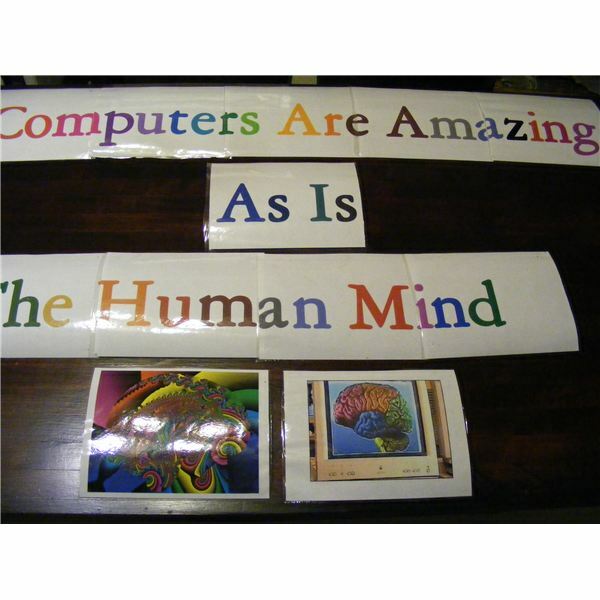 One bulletin board I like to use is the inspirational bulletin board of posters depicting learning on computers with the title "The Greatest Computer Ever Designed is the Human Mind." 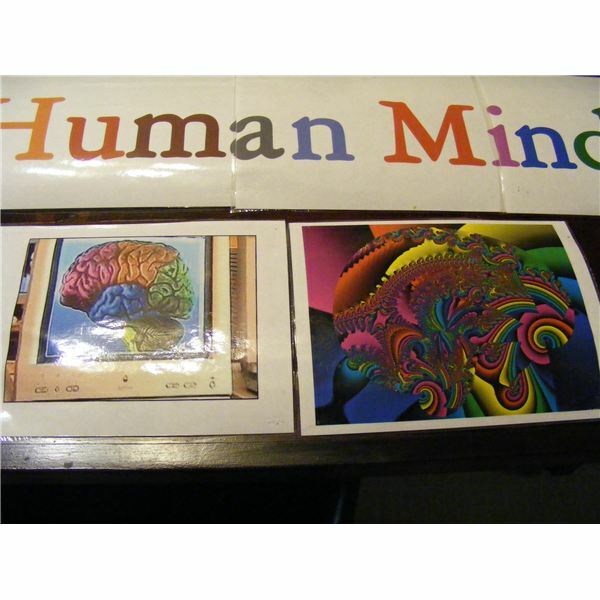 You can add a silhouette of the human head with many ideas and colors shown inside the head. It can be digitally designed or drawn by hand. The banner for the bulletin board should be made on the computer with a program such as Printshop, or Microsoft Publisher. 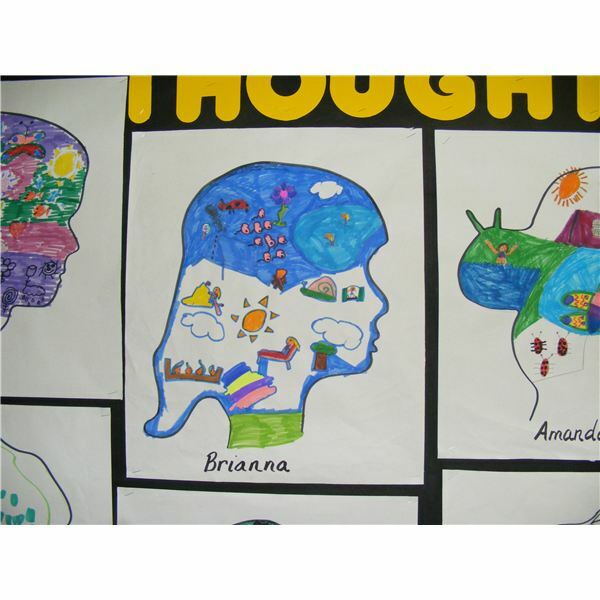 The development of the creative mind is what is important for students and teachers to remember. The computer cannot think for you! Another way of putting it is to use the words: "Computers Are Amazing, As Is the Human Mind." Teachers can also use the bulletin board to show what kind of documents the students might be doing in the computer lab. 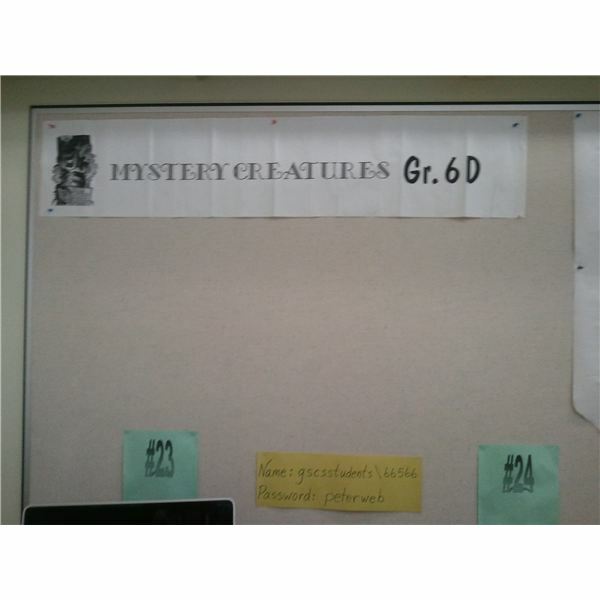 Banners found on a bulletin board can include titles like: Grade 6 Favorite Pets, or Grade 5 Commemorative Stamps, or Grade 6 Mystery Creatures. To engage your students weekly in a computer room, place a spot for website of the week and list a website you find to be interesting or related to the subject area, for the students to investigate on their own. There are thousands of websites for great educational, interactive lessons that are different than what the classroom learning environment can create. There are many interesting You Tube videos which are available on the internet which only take a few minutes to view. Instead of passing on these websites to students, just post them as you would post a saying or famous quote. Students can visit them on their "free time" in the computer lab. Stumbleupon is a website which will send you daily websites that meet your interests and activities. Register at www.stumbleupon.com so that you do not have to do the work of searching for interesting pictures, videos, speeches and websites to explore. 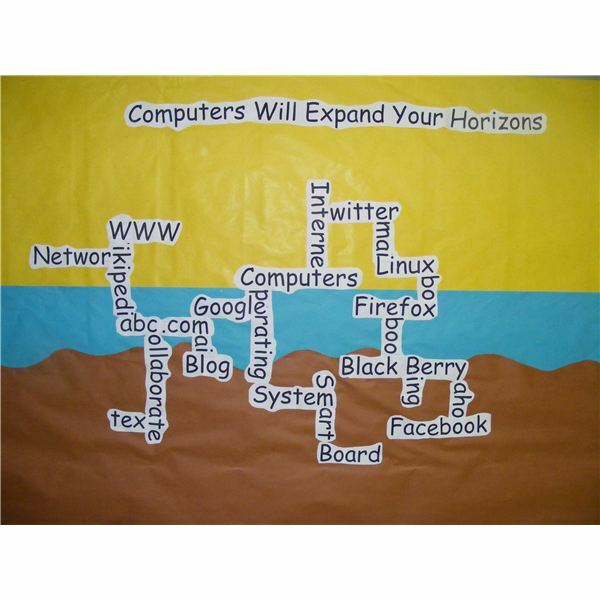 The banner for this bulletin board can be: "Computers Will Expand Your Horizons" and the background can be be a horizon created with 2 colors of bulletin board paper. Students will then choose a word from the board for research to explain what the term means, where it came from and what it is. If for example, they choose the word blog, the students could create a presentation on what a blog is by creating their own blog over the month and actually blogging with students in the class. The student learns what it is by teaching and creating it. 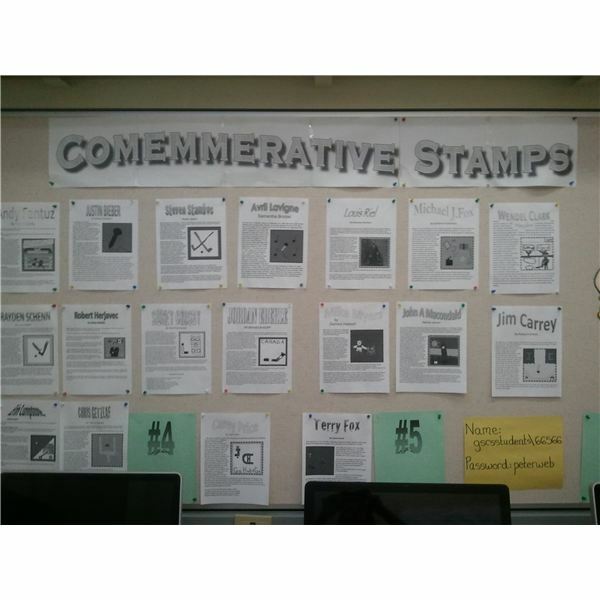 For a complete lesson plan on this bulletin board for discovery learning read: Technology Lesson Plans For Using Discovey Learning to Research Technology Terms. 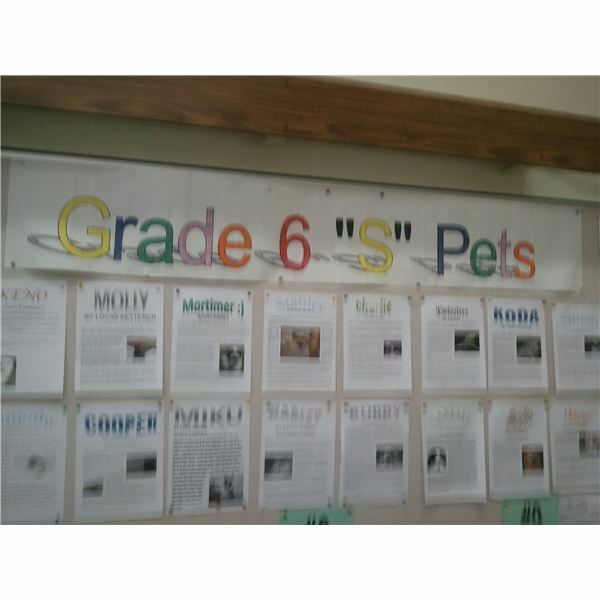 Students should add their own words to this display as they find terms they would like to research. Since technology is changing at a very fast rate, this board would be an ongoing, yet changing display. 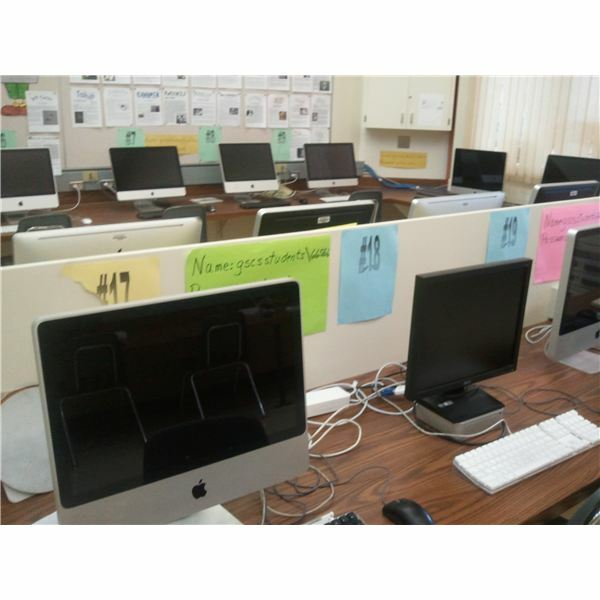 In a computer lab, bulletin boards which can be designed on programs such as Printshop or Publisher can be made by your students as a monthly or weekly project. Have them come up with interesting ideas for the computer classroom and splurge on colored ink for their photos and slogans. Let them know how they will be graded on the project eg. Most color, creativity, balance, best theme, or wittiest title. Even things such as printing optical illusions, avatars from game websites, or latest technology, on the board can generate enthusiasm for the project. Computers with webcams such as IMacs take pictures of students and can easily change them to show popart, or other artistic styles of photos. Photoediting can be done on other programs to change faces and add them to a different body. 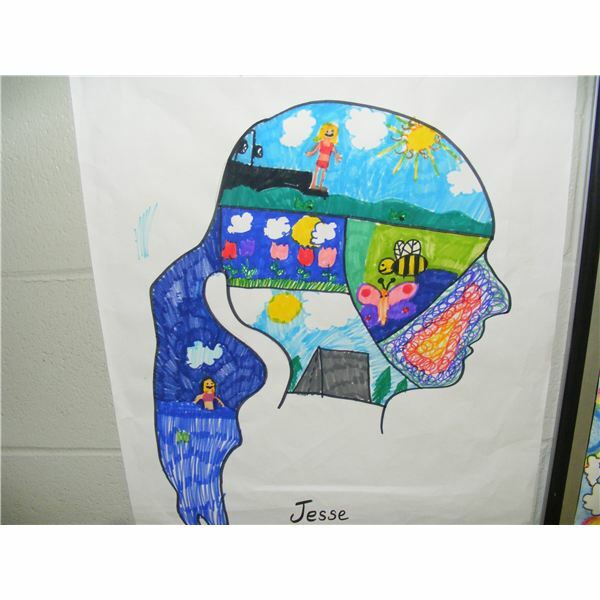 Each student can create an image of themself for the "Star of The Week" Theme. Your main message on the bulletin board at the beginning of the year could be: Get Ready To be A Star". Curtains, spotlights, stars and director's chairs can be added to this theme in the lab, if you have room. Bulletin Boards in the computer room can and should be very dynamic. They can be made by a computer or created out of the usual bulletin board lettering and borders. Since it is very easy to obtain images, design lettering and create banners, a computer can be used for designing the display. Color can be added later to lettering if no color printer is available. Color can be used in the background as well. Since the computer engages the students itself, the bulletin board has to be well thought out, large and enticing, to be used effectively in a computer class.